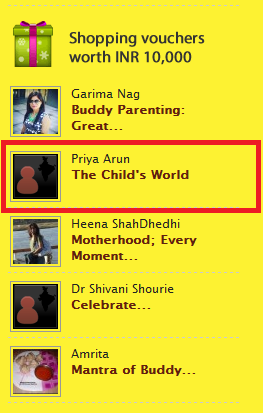 Happiness is winning a contest on IndiBlogger! Today's kids are proactive, fast learners, highly interactive, superior thinkers, multi-talented, multi- taskers, sharp minded, keen absorbers, great questioners and mind blowing innovators. Hope you might have heard your parents saying about your kids like this, "Your kids are very brave and sharp than you". My mom says so, "Those days, we never faced any problem in bringing up many children at a time. But now it's very tough to handle even one child for more than an hour". Yes, that's true! because to handle today's kids, we should think more than what they think and we should act accordingly. To move with them we need to understand their likes, dislikes and interests. Spending time with your kids is the only way to understand them perfectly. In this super-fast computer world, there is no time for parents even to talk with their children.Children end up speaking with TV, Tab, Computer and they also started believing the words of superheroes and cartoon characters rather than with their parents, which is very painful. This space between parents and kids creates a big wall between them. Nowadays, children are least bothered about most valuable measures of life like sentiments, affection, love, honesty and spirituality. Children don't understand these values because they didn't see or learn about these values from their parents. Though the world changes upside down, one thing remains unchanged. Yes! Children always watch and follow their parents and parents are their first living role model in this whole universe for them. The true fact is : A child learn more from home than outer atmosphere. Home creates a safe, comfortable, healthy atmosphere for a child to live happily and peacefully. If you are doubtful about this statement, just ask your child which is his / her favorite place. I am sure your the child will say HOME in no time and will hug you tightly to convey that you are his/her world. If you are a Mom or a Dad, one thing you need to understand is that Your Son or Daughter is expecting you more than anything in this world. You might have set up a world in your home with everything your child need to play, study, eat, sleep etc. But that World without you is simply meaningless and useless for them. Parenting should be impressive not ineffective. Parenting should be faithful not fearful. The only way to bond with your kids is to enjoy their world with them in their own way. Learning from kids is fun. Enjoy that fun with CHOCOS and create a fun-loving atmosphere to know more about your child and see the world through your child's eyes (perspective). Life will look more beautiful! Brand Chocos helps in creating "Khushi Ke Pal" between a parent and a child. It helps you to create happiness and secure childhood. Enjoy parenting with Chocos! 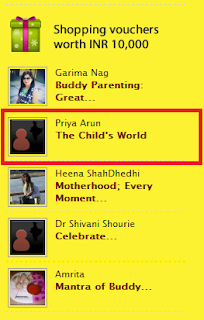 I especially liked those ''Parenting should be... '' lines.